Now on to what we ate while in Tokyo. Normally I would make specific restaurant recommendations, but much of what we ate was either street food or was in a restaurant for which I can't even begin to write the name. I've included places and restaurants where I can, but mostly this is a list some of the foods that you should try when visiting. We experienced a lot, so you'll notice that this recap is broken into four different parts to keep down the length of each post. I hope you'll find my tips and suggestions substantial, but if you want a recommendation and can't find one in my posts, then please leave your questions in the comments. Drink machines - All over Japan you'll find automatic drink machines. Unlike Western machines, you get two to three times the variety. In the winter, they also serve hot (yes, hot!) beverages. I recommend the hot ginger soda, hot espresso, or royal milk tea. Department Store Grocers - I don't remember this being a thing in the US, but we have them in Germany: grocery stores in the bottom of department stores. 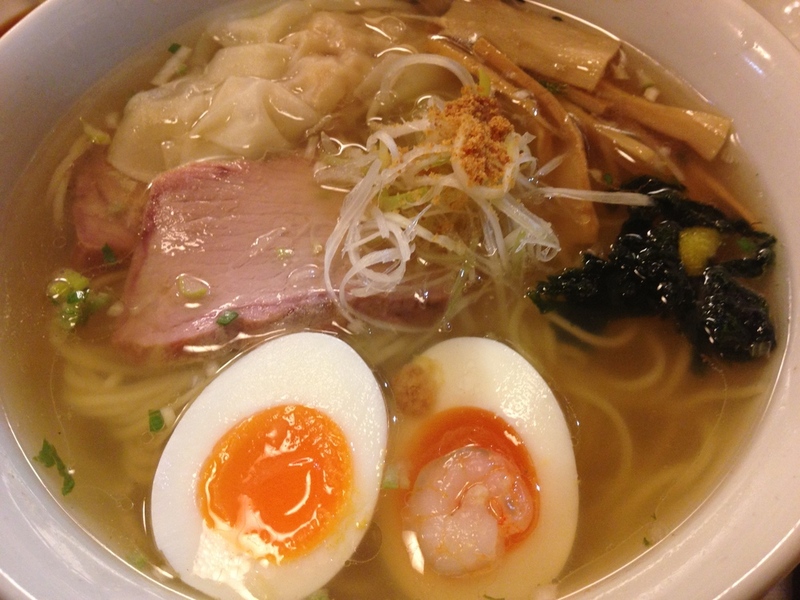 They offer everything from sushi to soba noodles. We had always planned to get a bento box and have a picnic, but never made it. We did, however, eat the most delicious red bean filled pancakes and mochi cakes (Japanese rice cake) filled with strawberries. Yum! Note: I don't speak any Japanese, but while were were in the more populated parts of the country, I never found it to be more than a minor inconvenience. All of the train signs and some street signs were in English as well as Japanese, making it easy to get around. Most people were also ridiculously friendly and spoke enough English to help us get what we needed. In most of the restaurants we went to, the foods were either also listed in English or came with helpful pictures. My favorite custom, however, was the inclusion of plastic versions of the dishes offered by a restaurant on display in the restaurant's window to lure in customers. All that said, having my husband who speaks some Japanese with me helped in emergencies. Plastic food on display in the Incheon (Seoul) airport. Would you eat it? Tempura - Who doesn't love fried food? Unlike the thick batter you tend to find on Southern fried foods, tempura is a lighter (and somewhat healthier) version using panko breadcrumbs. I had the best shrimp and veggie tempura at a random restaurant in Ueno. We found it by following our noses (and the line of people). 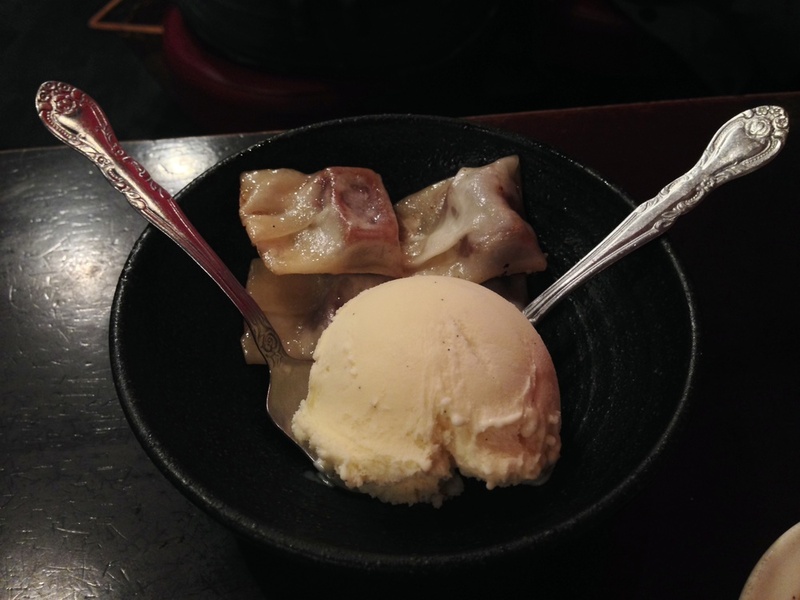 Gyoza - I love these Japanese-style dumplings, and we certainly ate a lot of them on our trip. They are usually stuffed with meats like pork, beaf, or shrimp and come either fried or steamed. One chain restaurant that we stopped at in Tokyo served some more exotic gyoza, like sour cream and onion flavored and gyoza topped with melted mozzarella cheese, tomato sauce, and pesto. The combinations might sound weird, but they were delicious! Note: Eating in Japan is a bit different than in the US or in Germany. When you go to a restaurant, they tend to serve one type of food only. So when I say we had tempura, I mean we went to a restaurant that only served tempura. The same goes for gyoza and ramen and soba and so on. I think this is a large part of the reason why we had so many good meals in Japan. When your restaurant only specializes in a variation on one kind of dish, it's easy to be really good at it. Sushi - Of course you can't go to Japan without trying the sushi. Japanese culture is generally known for sushi above any other kind of cuisine, and they obviously make the best in the world. 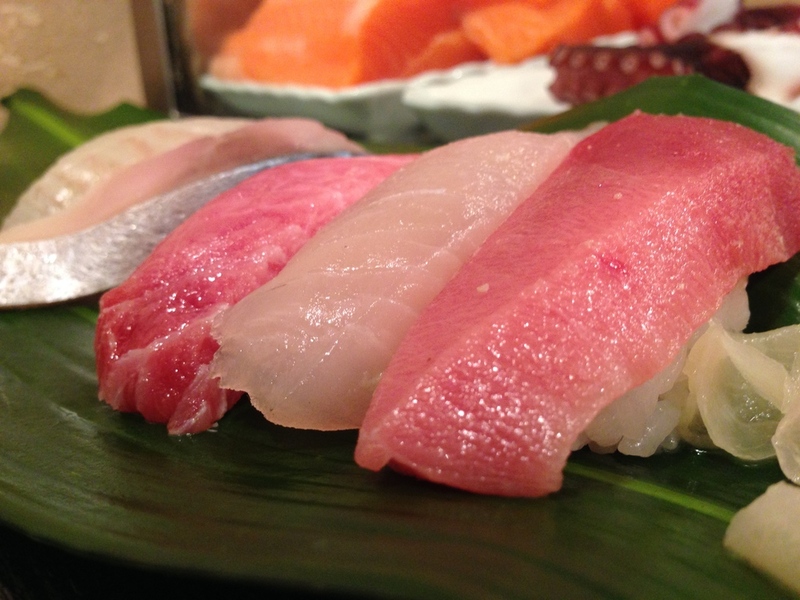 Our first stop upon arriving in Tokyo was the Tsukiji Fish Market where the sushi is literally fresh from the boat. We walked to one of the tiny restaurants in the back of the market at the end of the row and waited our turn. Again, our choice of restaurant was random, though I really don't think you can go wrong here. Just have a look at the picture menus outside the doors and choose one that looks good. Tuna and salmon are my favorites, but you'll also find other interesting combinations with squid, scallop, sea urchin, and various kinds of roe (fish eggs). If you're not sure what you want, or if you just like variety like me, then you should also visit a kaitensushi restaurant (also known as conveyer-belt sushi). Here sushi passes before you in a long line and you choose whatever you see that looks yummy. When you're full, the waiter or waitress will come by and tally up your plates to determine your price. The different colored plates correspond to a difference in price depending on the kind of fish. We found a great kaitensushi place in the Shinjuku-ku district called Numazuko, which had some good quality fish as well as interesting types of nigiri, like roast beef and horseradish, crab salad, and seared salmon with onion salad. Convenience Stores - I'm not entirely sure how this happened, but 7-Eleven is huge in Japan. For that matter, convenience stores are quite popular in the cities for takeaway foods. We often stopped at one in the morning for coffee and breakfast or later in the day for a snack. My favorite was the variety of onigiri, which are rice balls usually stuffed with or mixed with something and sealed in plastic. Choosing one was sometimes hit or miss since I couldn't read the labels, but I liked the salmon onigiri and the umeboshi (Japanese pickled plum) onigiri. Also unlike some American convenience stores I've been to, the food seemed to be delivered fresh everyday, so you could find decent sushi and other typical Japanese dishes in the convenience stores. Pastries - I was, quite frankly, shocked to discover how good Japanese pastries were. Apart from the clearly French-style pastries, which Japan has expertly imported, they also make lovely desserts with ingredients like red bean, sweet potato, and green tea. I really liked the red bean pancakes and other mochi (Japanese rice cake) balls that I found. One mochi cake that I purchased at a store in the Tokyo Sky Tree next to the Coldstone Creamery was filled with pumpkin - yum! Ramen and Tsukemen - Ramen in Japan is not like what you get in the States in those instant packets at the supermarket. The ramen we had in Tokyo was made of fresh noodles in a savory (not overly salty) broth with additions such as miso, dried seaweed, pork slices, hard-boiled eggs, seaweed, and others. My favorite, however, was tsukemen, which I ordered by accident the first time. In this version, ramen noodles are served in a bowl separate from a thick sauce that you use to dip your noodles in. We found the best place to get ramen was on Tokyo Ramen Street in the shopping mall beneath Tokyo Station. To order, you simply go up to one of the machines where you select your dish, pay, and get a ticket for your meal. Then you're ushered into the restaurant when a seat is available, and the waitress takes your ticket to prepare your meal for you. Some of the machines have pictures, but not all. Since I'll eat most anything, this was not a problem for me, but choose one of the machines with the pictures if you're a picky eater. Note: No matter what kind of ramen you choose, just be sure to slurp your noodles as loud as possible. Contrary to Western etiquette, slurping helps to enhance the flavors of the dish, much like wine tasters will "gurgle" wine. You'll also look weird if you don't. Curry pan - Curry pan, also known as a curry bun or curry bread, is bread stuffed with Japanese curry and then fried. It's pretty delicious when you get a hot, fresh one. We saw them at both bakeries and convenience stores, but the best one we tried was at a curry restaurant in the Shimokitazawa district. The restaurant had a street-facing counter through which they served curry pan and other to-go foods. Brunch at the Park Hyatt Tokyo - You might remember the room where they serve brunch because it was also the bar where Scarlett Johansson and Bill Murray share a drink in Lost in Translation. The bar affords a beautiful view across Tokyo as you dine. With brunch, you get a glass of champagne as you nibble on the many delights from the appetizer buffet: pâté de campagne, prosciutto and salad, cornichons, quiche, smoked salmon, tomatoes and mozzarella, roast beef, frutti de mare, and seared tuna. For your entrée, you choose one dish from a set menu that also includes wagyu beef. When we dined there, I chose the duck leg confit with red cabbage and a dumpling, which was every bit as delicious as the picture suggests. Matt had the filet mignon with lentil stew and broccoli rabe. For dessert, you're moved to another table in a more relaxed room with a live jazz band and couches around small tables, much like a café, where you can enjoy your coffee and a nibble (or two) from the dessert bar: fresh fruit, ice cream, green tea cupcakes, cheesecake, brownies, pain perdu, cookies, tarts, and more. The price isn't cheap, but for the view, the quality and amount of food, and the experience of living like the rich and famous, it's well worth it! 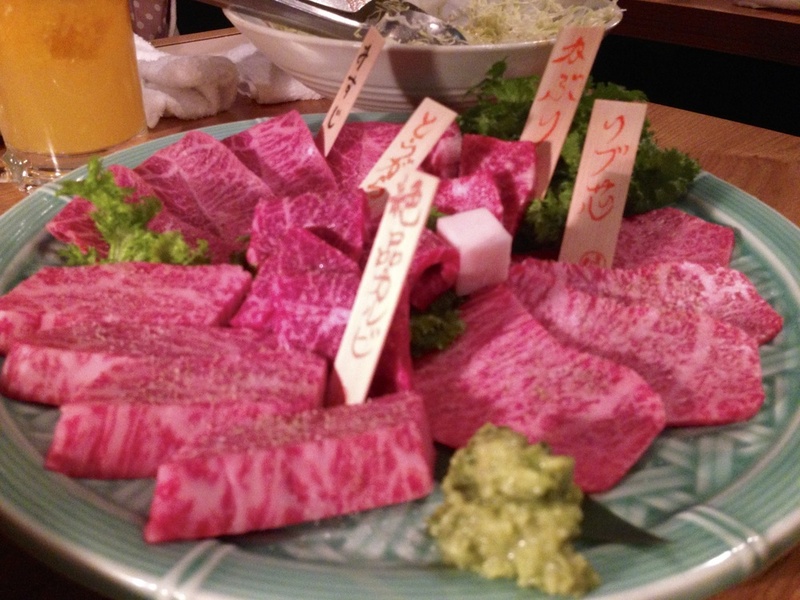 Izakaya - An izakaya is a kind of restaurant that serves drinks and various foods. It's about the closest thing I think the Japanese come to an American-style TGI Fridays. The one we went to on Odaiba was particularly cool as we had a kind of touch screen computer at our table from which to order. It was helpful to find each of the dishes accompanied by a picture, so we knew what we were getting. Note: Most of the Japanese restaurants we ate in had buttons at the table so that we could ring for our server. I actually really like this custom, because it meant we weren't bothered by a server when we didn't need anything (as I find tends to happen in the US) and we could call our server almost immediately when we needed something (which can be a challenge in Germany). As a former server, I think I would have liked this a lot! 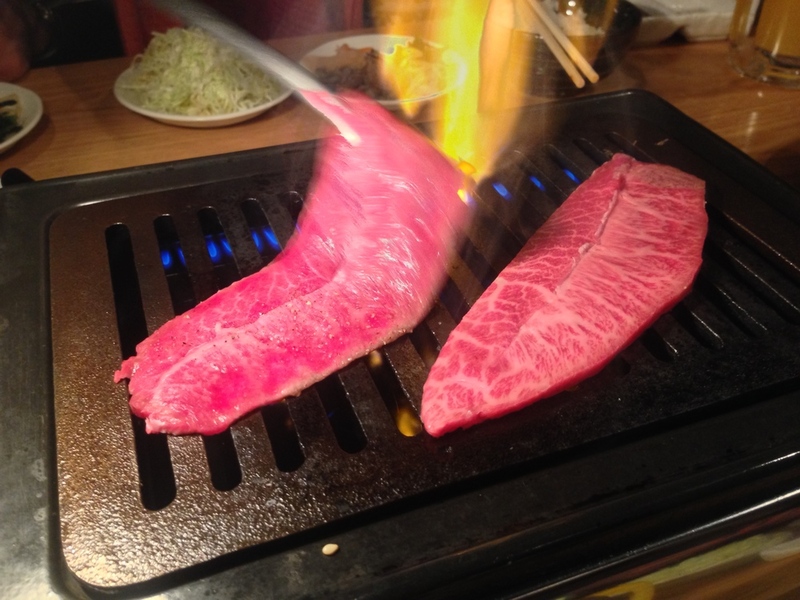 Yakiniku - Yakiniku means "grilled meat" in Japanese, and while it's often called "Korean barbecue" in Japan, it's known as "Japanese barbecue" in other parts of the world. The idea is simple. You sit at a table with a low or embedded grill, while plates of meat and vegetables are served to you so that you can grill your own food. It might sound like work, but it's very fun if you're with a group of people. My husband's best friend friend and his wife took us to a particularly nice yakiniku restaurant in the Ginza district. The meat they served came in both thin and think slices, and some of the beef we tasted had just the perfect amount of marbelization (fat) so that the meat essentially melted in our mouths like butter. Yum! This meat had the perfect marbelization (fat), so it melted in my mouth like butter when I ate it. Go to Part 3 for some suggestions on what to see in Kyoto, Hiroshima, and Osaka.